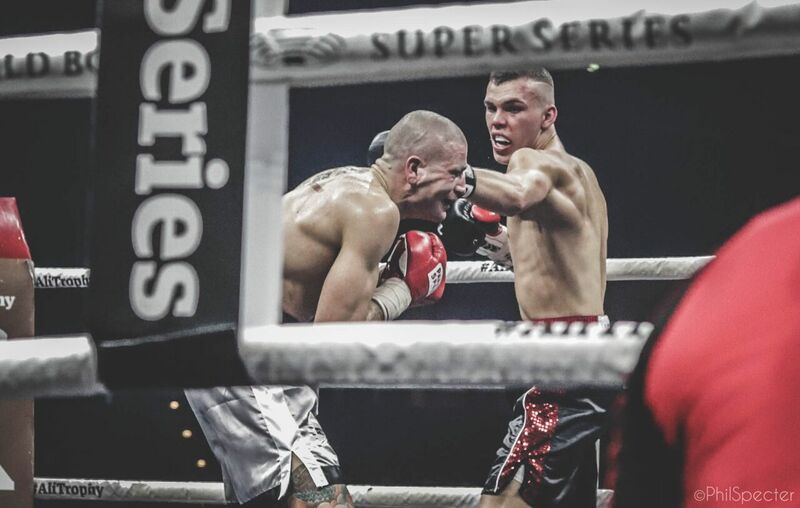 Leon Bauer fought on the undercard of Callum smith vs. Nieky Holzken in the super middleweight division of the World Boxing Super Series. Dispatching Marco Miano in a points win, Bauer now goes to 13-0-1, 8 KO’s. He had trained vigorously for the fight, and is a hot prospect, which I for one am looking forward to unfolding over the coming years. Remember this lad is only nineteen years old and was the youngest boxer to ever be given a professional boxing license to fight in Las Vegas, USA. Leon Bauer fought on the undercard of Callum smith vs. Nieky Holzken in the super middleweight division. WV: Hey Leon, Congratulations on your victory!!!! How are you feeling after the fight? I’m feeling good after the fight and now we go back to work. We have lots of plans in store for the future. WV: How did the fight do down in your eyes? It was a good, fair and clean fight. I enjoyed it a tremendous amount, especially being back from the hard times we had the in the last year. You know I was planning to show a technical fight. However, when you are there and then. Fight time is nothing like fight preparation time when you are in the ring. WV: What can we expect next from you? The people, my fans and family can expect many things, but it takes time. You know at the end of 2018 I will be twenty, so we have got a lot of time left to get the correct experience and to move on to get stronger and better. WV: George Groves will now be facing Callum Smith in the World Boxing Super Series Final. In the Super middleweight division. What is your fight prediction? It is a very good matchup for the division. For me in a fight everything and anything can happen. That’s why I think it’s hard to call a prediction of a fight, but if Smith works with his jab, uses good footwork his reach advantage, then he can outbox Groves, but if Smith lets Grove’s pace to build him up the pressure it will be too big a task for Groves I think.